The UN General Assembly has declared this year the International Year of Soils. The aim is to increase awareness about the importance of soils to the planet’s future. How can rural sociologists – and other social scientists – become involved? Soils are a critical resource. They are crucial in supplying food and providing the ecosystem services that regenerate the planet via the carbon cycle, the cleaning and storage of water, and supporting a biodiverse array of life. Yet, soils are under threat from practices designed to improve human access to foods and fibres. Deforestation is occurring as lands are cleared for farming and for timber extraction. It is estimated that some 13 million hectares per year of forest is removed and it is predicted that up to 70% of the world’s rainforests may disappear by 2050. The soils exposed after clearing are often washed or blown away, as part of the ‘desertification’ of the planet. Desertification not only occurs as a result of forest clearing. Soils currently used for farming and grazing are under pressure as farmers seek to maximise production. Many of these soils are over-cultivated and over-grazed resulting in the collapse of soil structure and their exposure to further degradation by water and wind. Massive erosion is occurring throughout the world. Some 40% of global farmland is classified as degraded or seriously degraded, with the current rate of soil loss suggesting that most of the world’s topsoil will disappear within 60 years. In the meantime, its constant degradation is expected to contribute to a decrease in farm output of 30% over the next three or four decades – at the same time that projected food demand will grow by 50%. With soil formation rates close to zero in most parts of the world, it is imperative that ways be found to prevent soil loss. The presence of agri-chemicals in farm soils is another problem. Soils can become acidified as a result of the over-use of ammonium-based fertilisers by farmers. Nitrate leaching affects plant growth – another factor in reducing output. So, too, the associated chemical run-off from soils means pesticide and herbicide contamination of groundwater and surface water – including drinking water systems. The salinization of soils is another problem of enormous concern. Salts in bedrock are drawn to the surface when trees are removed and when farmlands (particularly those with clay soils) are over-irrigated, resulting in sodicity. Salts inhibit root growth of crops and therefore reduce output. Globally, approximately 400 million ha, or some 6% of all land, is affected with salinization increasing by 1-2% each year in the irrigated regions of the world – regions responsible for providing approximately 40% of the world’s food. advocate rapid enhancement of capacities and systems for soil information collection and monitoring at all levels (global, regional and national). Clearly, social scientists – and particularly rural sociologists – have an important role to play, here. They can, and are, shaping debates about sustainable development and poverty alleviation in rural regions. They are researching, and reporting on, the structures of governance that support progressive ways of managing natural resources (for example, in relation to soil, state and private initiatives that confront practices such as over-grazing, over-ploughing, stubble removal and nutrient mismanagement). They are sensitive to aspects of class and gender that provide, or inhibit, access to land for farming and grazing. And, they inform the work of extension agents, helping to identify what farmers consider appropriate/inappropriate and applicable/inapplicable on-farm interventions to manage soil and water resources. But there is also another ‘layer’ of activity for social scientists. They are adept at analysing the discourses that surround the ways soils, and other natural resources, are treated. In this regard, they are aware that ideologies like developmentalism and consumerism are at the centre of unsustainable and species-centric approaches that result in the exploitation of natural resources, including soils. They study, and give insights into, the alternatives to environmentally-harmful industrial farming practices. They are at the forefront of the so-called ‘land grabs’ debate, identifying the agents involved, and explaining how and why land is becoming another ‘asset class’ for finance capital. Following from this, they identify de-peasantisation as a potential (and mostly negative) outcome of land dispossession, and speculation in land as a key cause of food-price inflation. They also analyse the aims and motives of opposition movements that have arisen to counter the ‘land grabs’ and ‘financialisation’ of farming. Importantly, they reveal the ideologies implicit in the ‘techno-fixes’ that are regularly proposed by big business as the solutions to farming’s global problems. Finally, they work with other disciplines to build awareness of humanity’s ecological footprint, to reveal the structures of power that inhibit interventions to address soil exploitation, to argue for incentives for carbon retention in soils, to identify the tensions between coal-seam gas/mineral extraction and farm soil retention, and – above all else – to provide policy guidelines to governments on how to create a more sustainable world. These positive activities aside there remains much work to be done – both in the International Year of Soils, and for decades beyond! 1. United Nations (2010) ‘Deforestation in Decline but Rate Remains Alarming, UN Agency Says’, Available at: http://www.un.org/apps/news/story.asp?NewsID=34195#.VP40zk10270. Accessed 10 March 2015. 2. 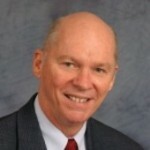 Crawford, J. (2012) ‘What if the World’s Soil Runs Out?’, Time, 14 December; Lawrence, G., Lyons, K. and Wallington, T. (2010) Food Security, Nutrition and Sustainability, Earthscan, London. 3. Cribb, J. (2010) The Coming Famine: The Global Food Crisis and What we can do to Avoid it, University of California Press, Berkeley. 4. FAO (2002) ‘The Salt of the Earth: Hazardous for Food Production’, Available at: http://www.fao.org/worldfoodsummit/english/newsroom/focus/focus1.htm, Accessed 9 March 2015; Munns, R. (nd) ‘The Impact of Salinity Stress’, Available at: http://www.plantstress.com/articles/salinity_i/salinity_i.htm. Accessed 11 March 2015. 5. 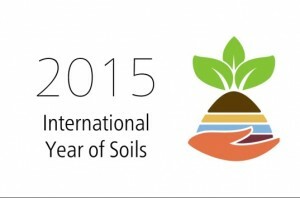 FAO (2015) ‘International Year of Soils’, Available at: http://www.fao.org/soils-2015/about/en/. Accessed 10 March 2015.